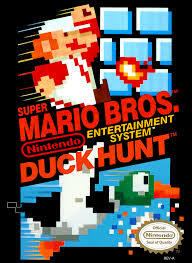 When you mention the name Nintendo, most people who are only casually aware of them will still probably think ‘Mario’. 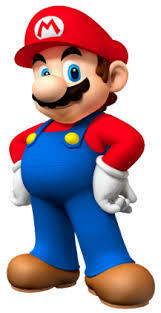 The character has existed since 1981, when he debuted as ‘Jumpman’ in the arcade classic Donkey Kong, and he was first named as Mario in the game’s 1982 sequel, Donkey Kong Junior (which, interestingly enough, is the first and only time Mario has been the bad guy in a game). The 1983 title Mario Bros introduced his brother, Luigi, to the scene, but it is his first console appearance where I first became aware of the character and the games he inhabited. The game was addictive. Sideways-scrolling fun! It was also deceptively layered. On the surface, Super Mario Bros was quite a simple game – you run, you jump, you squash bad guys and carry on to the end of the level. Only you have to watch out, because you can’t kill every bad guy by jumping on it (in fact, you’ll die if you do that to certain enemies), and so you need to find yourself an advantage – like a mushroom to grow or a fire flower so you can spit fireballs at your enemies. Oh yes, then there’s the different types of level, with moving platforms, flying enemies, and so on. 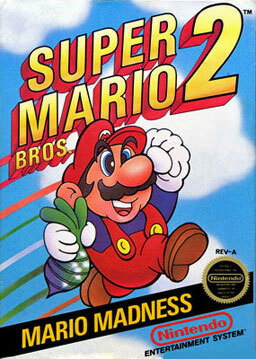 Super Mario Bros spawned two games entitled Super Mario Bros 2. Yes, two games, both direct sequels to the original. One version was only released in Japan to begin with, whilst the other version saw a US and European release. Being in Europe, I naturally didn’t experience the Japanese version until years later – but I did play the European version. SMB2 was a huge departure from the first game. Graphically it was a big step forward from the simple appearance of the first game – and it very different game mechanics and levels. You could choose one of four characters to play (Mario, Luigi, Princess and Toad), and each character had different strengths and weaknesses. Enemies could be picked up and thrown at other enemies – and there was a variety of bosses to deal with. It was a quirky game and quite entertaining, but ultimately, not one that I would replay a great deal. Next up, came another great Mario game. 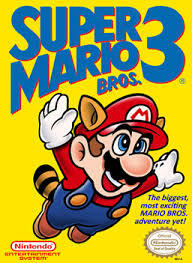 The third installment of the Super Mario games was the last entry on the NES and a hugely popular one. It benefited from being the most beautiful of the NES releases, not to mention a return to more conventional Mario mechanics. New power-ups were introduced – Mario could now fly, swim a lot better, or stomp on previously invincible enemies, with the right item. 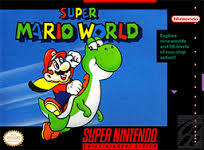 Super Mario World built upon the map screen element of Super Mario Bros 3 and also allowed you to go back to previously completed levels. It also introduced the idea that levels could have more than one exit, and we also got the character of Yoshi (the green dinosaur in the picture). I loved this game – it had so many secret levels to explore, ghost houses, dungeons… it was just pure fun, and it’s still great fun even now. To be honest, I can’t say I’ve been thrilled by the 3D Mario offerings. Yes, they look good, but whilst SM64 was a reasonably fun game to play, it wasn’t as fun as its predecessors, and I only played through it once. 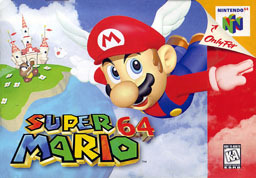 The levels were good in places, but overly frustrating in others, and this was something that would repeat itself with Super Mario Sunshine (which I rate as the worst Mario game made so far) and Super Mario Galaxy, that introduced some interesting game mechanics but just wasn’t well executed in my opinion. Still, by and large, Mario games remain fun to play (Luigi’s Mansion, and the New Super Mario Bros games on the DS and Wii are all pretty good).